How Can I Realistically Count Calories for Weight Loss? Hello, My name is Ani, I am a member of L.A. Fitness. I’ve decided to lose weight, I need realistic guidelines from you. I am 59 years old, Height 5′ 4″, Weight 139 lbs. Goal: go down to 133 lbs by Dec. 27, 2016 Plan? To lose 6 lbs in 3 months, how many calories may I ingest per day, and how many calories should I burn per day? I have not counted calories before; would you have an easy way to count calories? Ani, as you are not currently counting calories and do not know how much you are consuming, I would first suggest that you determine your current intake. Use a diet analysis software with a broad range of foods (30K+) based on the USDA National Nutrient Database for Standard Reference* to average at least 3 typical days of your diet – everything you eat and drink, including condiments. An estimated range of calorie needs to promote weight loss in females based on calculations using your age, height and weight is 1200 to 1600 calories per day. The actual amount you need depends on your activity level and individual metabolism. For effective weight loss, your intake should be about 500 calories less than your expenditures per day. If you increase your activity by 200 calories and trim 300 calories off your intake daily, you’d create the desired 500 calorie deficit. I wish there was an easy way to accurately count calories! A simple bean and cheese burrito could be a 300 calorie frozen item or a whopping 800 calorie restaurant half-pounder. If you could break combination foods down to their base components and approximate the portion of each, you can add up each ingredient using a diet analysis program based on the USDA Food Composition Database. For example, doing so might provide this information: 10” flour tortilla (211 cals) + ¼ C shredded Colby Jack cheese (108 cals) + ½ C. refried beans in oil (182 cals) = 501 calories. *as of the writing of this post, the newest version is Release 28. Chef Brian Okada of Water Grill shares his recipe for Tomato Avocado Salad with a light Poppy Seed Dressing. It’s quick, it’s easy, healthy and tasty! Pill supplements of other compounds are nearly the last thing I recommend for weight loss, usually after other interventions have failed. How Can I Manage My Weight Effectively? Hello! As I was working out I heard you were soliciting nutrition questions, so decided to throw one your way. I have been trying to come up with a workable nutrition plan to complement my workout. I lift weights several times a week and would like help calculating macros to help the muscle growth. I weigh about 190-195 lbs, 6ft 2 in. tall. Any advice would be greatly appreciated. Especially if you can convert the grams into portions of real food, e.g. 1 medium size fruit/potato, etc., 1 chicken breast/piece of fish, etc. Depending on your age, you may need 2800-3000 calories for muscle growth. Protein should be about 1.8 grams per kilogram of body weight, or 158 grams per day. As I’ve no idea what your style of eating or food preparation is, I’ll give you a sample 3000 calorie day that provides 158 grams of protein using mixed dishes that don’t easily break down into the above separate portions. Are Supplements Really Necessary to Be Successful in the Gym? We speak with three experts in the field of personal training, nutrition, and medicine to get their opinion on whether or not supplements are necessary for bettering health. For the past three decades, Jerry and Marilyn Hoagland have been playing racquetball together. This LA Fitness couple shares what’s helped keep them young. What do Macro and Micronutrients Have to do with Weight Loss? So I wanted to know what are macro and micro nutrients and what do they have to do with weigh loss? Great question, Irving! Nutrients are the compounds in food that are vital to human life. Macronutrients are nutrients that are needed in quantities greater than a gram – carbohydrate, protein, fat and water. Micronutrients are nutrients that we need in much smaller milligram or microgram quantities – vitamins and minerals. It happens that the macronutrients, except water, contain carbon atoms and therefore can provide us energy through our cellular breakdown of these carbon bonds. This energy fuels our nervous system, organs and muscles and can contribute to body fat stores. Water takes part in metabolic reactions and helps cells’ efficiency. The micronutrients have many functions, several of which are to support metabolism – the body’s chemical processes — including the ability to make energy from food. 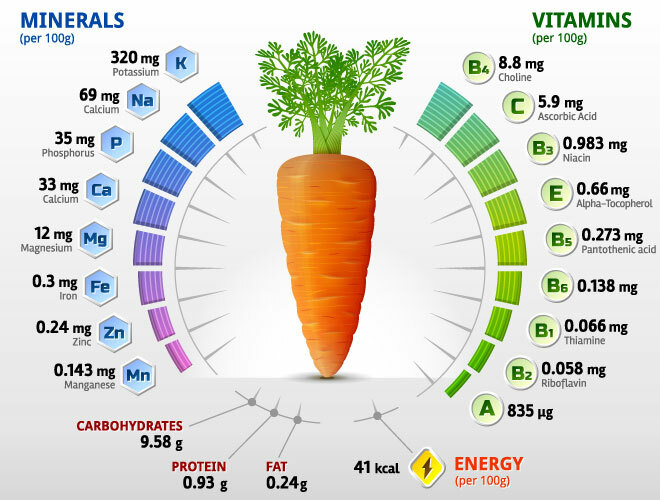 So to get the most from macronutrients, the proper amount of micronutrients are required. Weight loss occurs when the body burns more calories than it uptakes into cells after digestion and absorption. Too much energy from carbohydrate, fat, and protein combined can lead to weight gain. Insufficient vitamins and minerals compound the problem, but are unlikely to cause weight gain directly. If personal preference limits the variety of foods you consume then you need to experiment with textures, cooking methods and flavor combinations to increase palatable options. Try estimating your calorie needs with an online calculator from a reputable source that includes age, height, weight, gender and activity level. Enjoy these wonderful and festive foods for your healthier meal choices this season! The holidays are approaching fast, which means it is the time of year for delicious and healthy seasonal fruits, vegetables and many more selections! Loaded with nutrients, these autumn harvest fruits and vegetables fill you up with few calories and lots of fiber to help you stay satisfied longer and displace higher-calorie foods so you eat less. Goodbye pumpkin muffins and muffin-tops, hello fresh fall produce and preventing weight gain. These purple root vegetables are a good source of fiber (soluble pectin), folate, manganese, potassium, and phenols. Not a gourmet chef? Use a julienne tool or coarse grater to slice raw beets into match sticks that you can toss in a simple salad or use for crunch in a BBQ sandwich instead of coleslaw. It’s easy to roast a beet like a baked potato – wrap in foil and cook in a 400oF oven for an hour. After cooling for 10 minutes, peel and serve sliced with dill or thyme. Grab these especially if they are on the stalk or on sale. They provide Vitamins B6, C and K, and Folate. 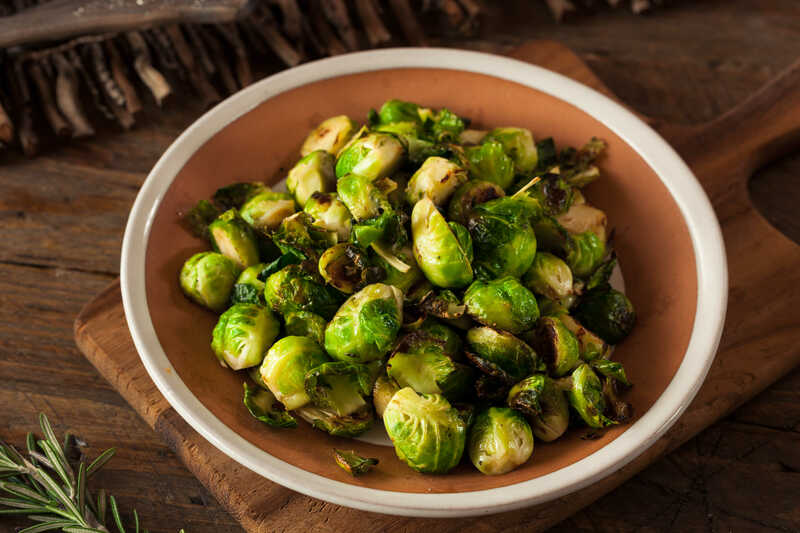 Try Brussels sprouts cut in half, tossed in olive oil and sprinkled with salt, then baked in the oven at 375°F for 20 minutes. If ‘cooking’ isn’t your thing, try microwave steaming some frozen Brussels sprouts, then sprinkle them with lemon juice, parmesan cheese and chopped walnuts. Typically seen in a cornucopia, these squash have an abundance of nutrients found in the golden flesh, including Vitamins A, B6, and C and carotenoids, which give the squash its bright yellow color! Quickly cook scooped out halves in the microwave in less than 10 minutes! The meat of the squash is an exceptional addition to a curry dish, or you can try eating by itself with brown sugar and nutmeg. For all of the Epicureans out there, you might favor a butternut squash soup. These tart berries are a good source of Vitamin C and enzymes, plus anti-inflammatory anthocyanins, which provide the cranberries with their red tint. Jellied and dried cranberries are not your only options; a raw cranberry relish avoids even turning on the stove! Toss a cup of cranberries with a cut-up small, seedless orange with rind and a peeled, cut up tart green apple. Place the cranberries, orange and apple into a food processor until finely diced, then add ½ to 1 cup sugar and let sit overnight in the refrigerator. Use instead of gravy to accompany pork or poultry. About four medium fresh or dried figs provide excellent fiber, a good amount of Vitamin B6 and potassium, and some magnesium. Figs also include polyphenol antioxidants, which are some of the most abundant antioxidants in a healthy diet. You don’t have to be a cooking aficionado to include figs in a meal or snack. 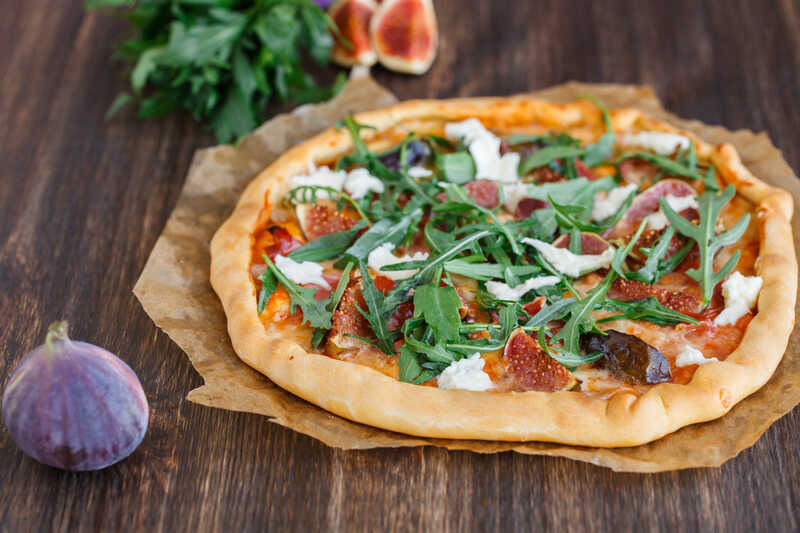 Try slicing a few fresh figs to top a pizza made with whole wheat crust (brushed with olive oil and garlic), caramelized or red onion, goat cheese, prosciutto and arugula before baking. For a quick snack, chop dried figs and add to a nut mix. 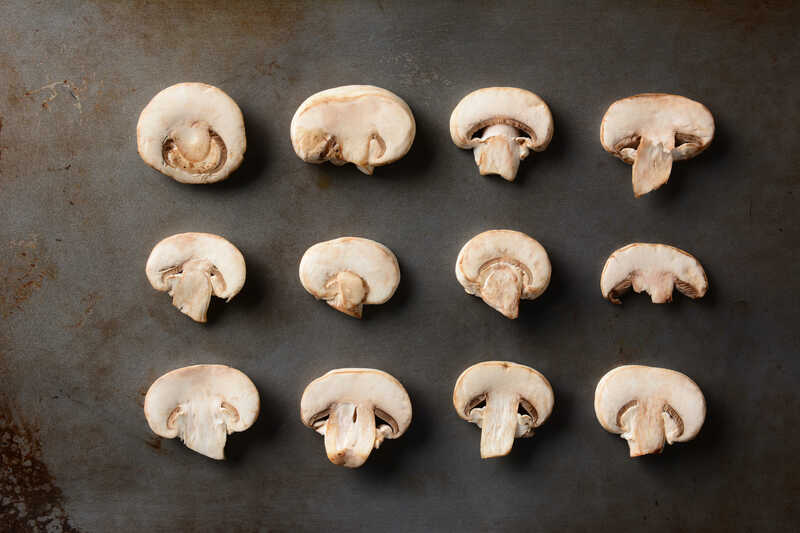 These unassuming fungi boast a good amount of Riboflavin, Vitamin D, and minerals, plus the antioxidant ergothioneine. Foodies may delight in homemade stuffed mushrooms; however even a novice can add sautéed mushrooms to any pasta, green beans, or rice pilaf to bring out an earthy flavor. Use sliced raw white or crimini (baby portabella) mushrooms to top a salad or homemade flatbread. The arils of this fruit provide significant Fiber, Vitamins C and K, plus antioxidant polyphenols. After opening a pomegranate and removing the juicy arils, they can be eaten by themselves as a snack or used as an addition to salads, salsa and smoothies. The season is short in the US – just a few months – so grab these while you can! 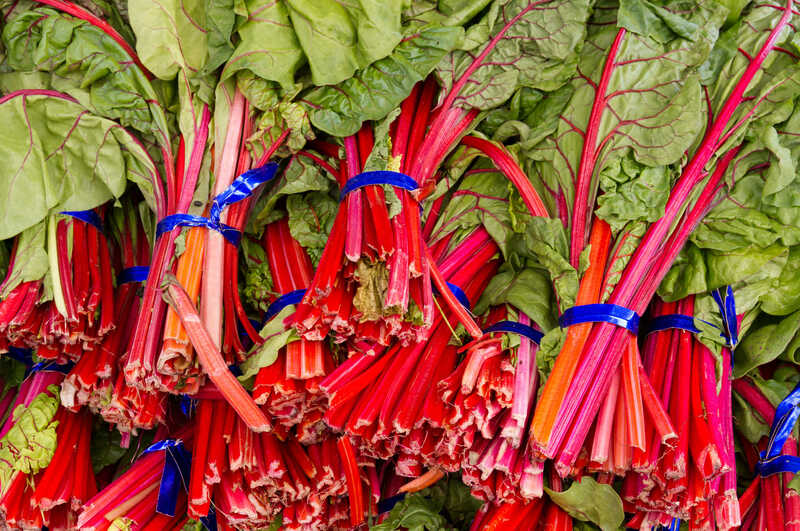 These greens with a red stem are high in Vitamins A, C, E and K, magnesium, potassium, iron and the phytonutrient betalain. Chopped leaves can be sautéed with oil and garlic, then drizzled with lemon juice or balsamic vinegar and sprinkled with a pinch of crushed red pepper flakes for a kick. To use them raw, remove the spines, chop the leaves and add to a mild salad of cranberries, sliced almonds, crumbled feta and avocado, plus a vinaigrette of your choice. 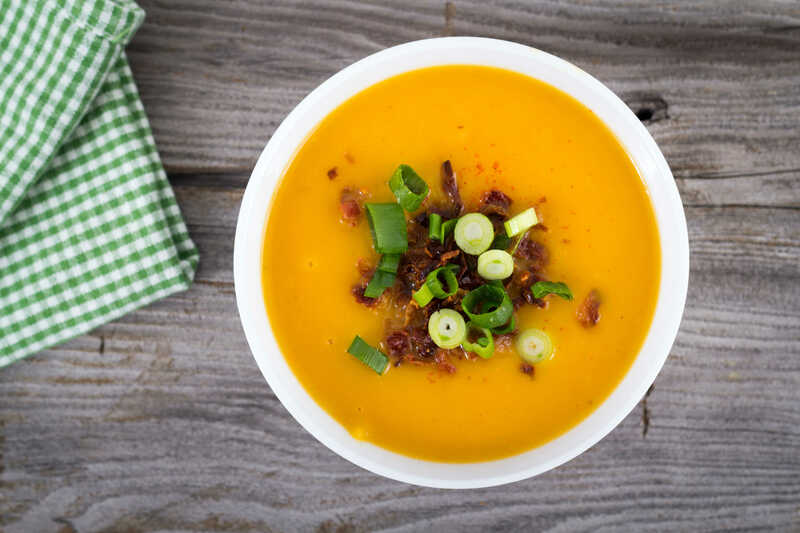 This fall favorite made from any number of legumes usually combined with broth, carrots, onion and celery can stand alone as an entrée and provides ample fiber and protein with multiple minerals to boot. Combine with diced ham for a heartier meal. November is American Diabetes Month! Learn more about it below. November is American Diabetes Month, and people around the country are putting in countless efforts to help raise money for, bring awareness to and ultimately find a cure for diabetes. It is safe to say that insulin is a very vital part of our body’s functionality. Since the body is not producing insulin, type 1 diabetics have to somehow get insulin into their bodies. This is done by either an insulin pump, which is a portable device that directly pumps insulin into the body, or by injection. With technology advancing there are new and innovative ways to give the body insulin. To find out more about insulin intake visit the health.com insulin article here. Both types can take a serious toll on the human body. This is why it is especially important for diabetics to take care of their overall health, which includes working out. So how does working out affect those with diabetes? Since both type 1 and type 2 diabetes affect the body’s insulin levels, blood sugar management is important to watch and keep track of. Many type 1 and type 2 diabetics carry some sort of snack with them to help manage their levels. Plus, type 1 diabetics typically have insulin on hand for blood sugar management purposes. 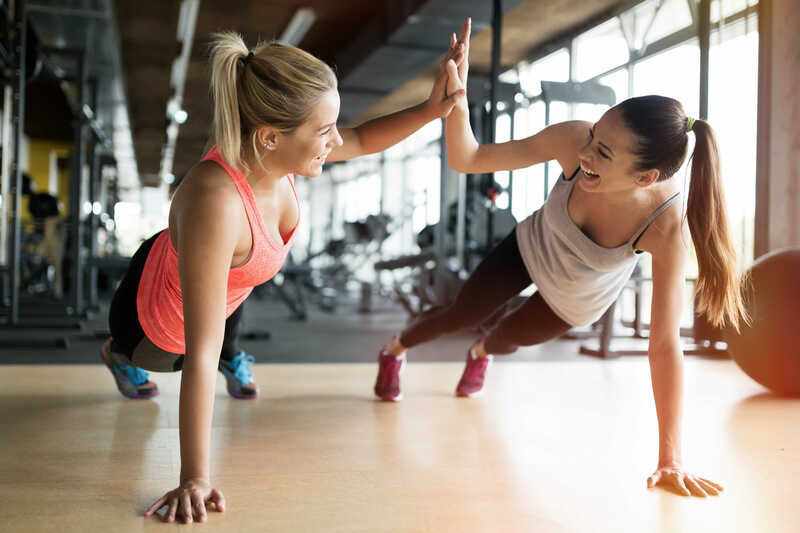 If you have type 2 diabetes or are pre-diabetic, regular exercise may help reduce your body’s glucose levels, which can help make your symptoms less severe.7 With type 1 diabetics, a regular workout routine can help with overall health and blood sugar levels. But remember, if blood sugar levels are too high or too low before your workout, it is advised to wait until the levels get to normal before you start. Ways to get blood sugar levels normal vary, as some diabetics can grab a quick snack whereas others would need to adjust his/her insulin. Working out is a great routine for anyone to get into, but for diabetics it is especially important due to the side effects of the disease. The month of November recognizes and brings awareness to diabetes and we are happy to provide a place for those who want/need to live a healthy lifestyle at LA Fitness. If you know someone who has diabetes or if you have it yourself, let us know how exercise has helped you in your diabetic journey. 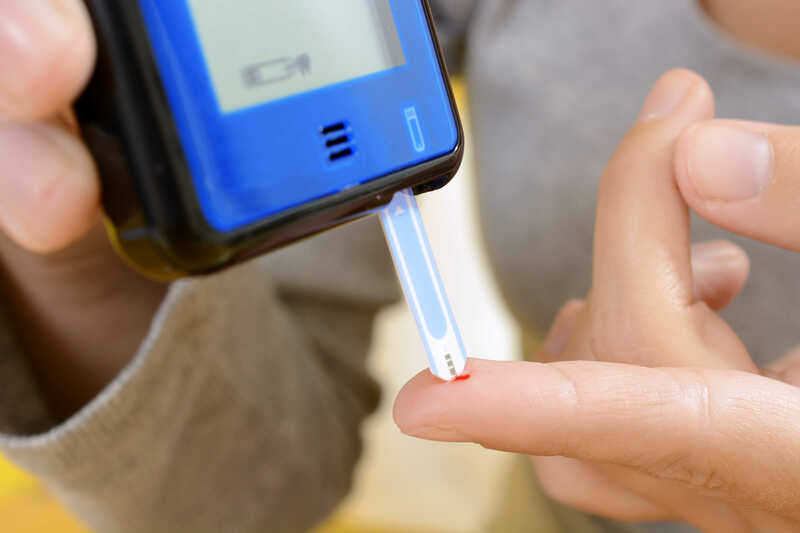 For more information on the basics of diabetes from the American Diabetes Association please click here. Want to hear more? Subscribe to get Living Healthy right to your inbox!